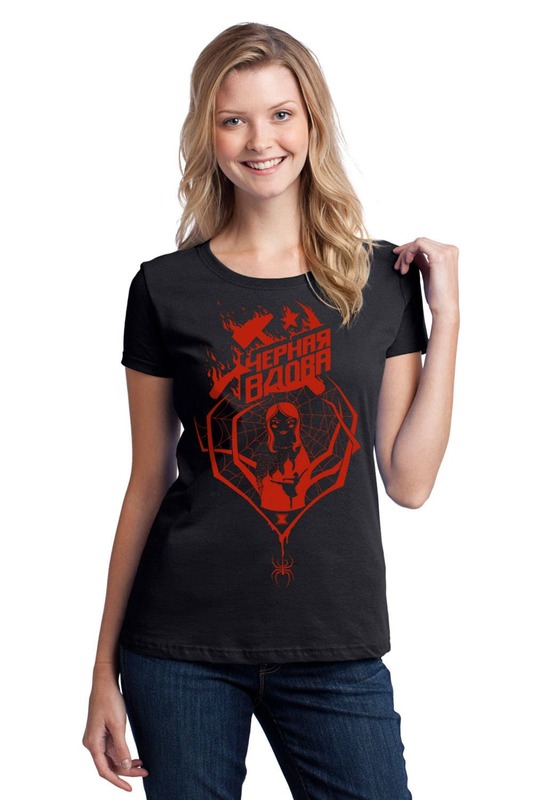 Punch your way out of danger and pirouette through your top secret missions in our Black Widow t-shirt! I'm very excited to give a little recognition to an absolutely awesome character and tie together her comic book history with what we've seen and loved in all the Avengers films. 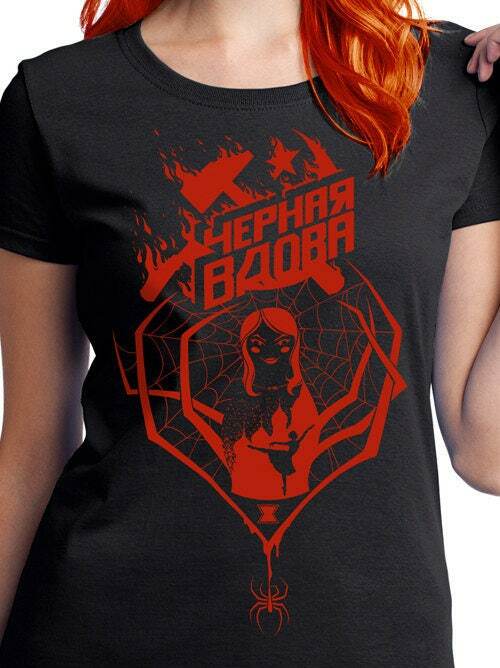 The text reads "Black Widow" in Russian. Our t-shirts are 100% cotton printed with earth friendly water-based inks that give our designs a soft, touchable feel and durability. Available in unisex sizes small through 6x, and ladies fitted sizes small through 3x. See sizing chart below. These t-shirts are black with red ink. Unicorn Empire products are always superb and excellent. The artistry is brilliant and beautiful! I received the shirt in a very timely manner, and I cannot wait to give it to my oldest kiddo for Christmas! She's going to love it! Love the shirt and the printing! T-shirt arrive fast and in great condition. Super soft! Fits true to size except the collar (neck) is a little small or tight. Would happily buy from again. Thanks! Love seeing unique design tees for the female superheroes. This was a must buy for me. The detail of the ballerina is my favourite.